Pat Rossiter has told the inquest into the death of his son Brian that a detective garda told him his son had taken up to 16 ecstasy tablets. However toxicology results later showed no traces of drugs in the 14-year-old’s system. Mr Rossiter told the court that the last time he saw his son was on Sunday. His son said he had missed the bus to Wexford but his father did not quite believe him at the time because Brian had issues about moving to Wexford. He was stopped later that night by gardaí who told him his son was in custody. Mr Rossiter spoke to Garda Canty and Detective Garda Daniel Quinlan at the desk. He was asked if he was aware that a number of windows were broken in Clonmel that night and that Brian and his friends were drunk and out of their minds, high as kites, and that they were on a binge for four to five days. There was a discussion about keeping Brian in a cell overnight and he was asked to give his consent. He said he signed a statement but he had not read it. He said he was agitated and angry. He was asked if he wanted to go and talk to him but he declined. He was angry with Brian he said for landing in this situation. Mr Rossiter told the court that there was nothing about his son to suggest that he was having a "rough weekend". He knew he had not been on a binge of drink and drugs for four to five days because he had met him on the Sunday and he was fine. He recalled phoning his wife and they had a row on the phone. She had moved to Wexford with Brian and their younger children the month before. He signed a statement which said his son was out of control, he was in a row and got two black eyes, he is constantly in trouble with the gardaí, he will not obey them and he wanted him to be kept in the station. He will cause serious trouble in the town if he is left out, the statement said. But today Mr Rossiter said he would never have said this. His son had never been in serious trouble, he said. He was agitated and signed what the garda had written but had not read it. The following morning he got a call from the gardaí to tell him that his son was going 'cold turkey and shaking out'. A second call told him to go to the local hospital. When he arrived at South Tipperary General hospital, a detective garda told him his son had taken 15 to 16 ecstasy tablets and was in a bad way. Mr Rossiter said he felt a sense of panic and was shocked when he found his son on a ventilator. A nurse told him it looked like an overdose of ecstasy but Mr Rossister said he felt there was something very wrong about the amount of drugs gardaí said his son had taken. He remembered saying to a nurse that if a horse or elephant had taken that they would not be standing. She told him they could only go on what gardai had told them. Asked if he was aware that no traces of drugs were found in his son's system according to toxicology reports, he said he was well aware of it. He said the first time he heard of the row was when Noel Hannigan's father rang him. Mr Rossiter said he did not realise it was Brian he thought it was one of his other sons. Mr Hannigan’s father rang a second time to say he had got it wrong, Mr Rossiter’s son had not been in a row. Earlier, the court heard from one of Brian's friends who was also arrested that night. Daniel Leahy told the court that before they were arrested that night, he, Brian and Anthony O'Sullivan had been drinking cider in Wayne O'Driscoll's flat. Everyone was smoking hash. A row broke out but he was adamant that Brian was not hit. He could not remember being brought to the garda station but claimed that he got 'a couple of slaps that night from guards - I have it in my head,' he said. All he remembers is that he wanted to get out of the cell. He claimed that when gardaí questioned him later, they told him Brian had been taking ecstasy. He said he was pretty sure they were trying to coerce him into saying he had taken E.
Barrister Stephen Byrne asked him if he accepted that what the gardaí were actually doing was asking him what Brian had taken. Mr Leahy said no. Mr Byrne said this would be denied by the gardai. Mr Leahy also denied there were any ecstasy tablets in the flat that Tuesday night. Mary Ellen Ring SC asked if he remembered being slapped by his father twice - he said he did not but he had been hit by Mark Conroy in the row in the flat. She went on to say that they were the only people who hit him that night and he had not put that in his statement at the time. In his deposition read to the inquest, Detective Garda Daniel Quinlan described how he responded to a number of calls about damage being done in Clonmel on the evening of 11 September 2002. He said he met Mr Rossiter and his friends Mr Leahy and Mr O'Sullilvan on the street. He said Brian was arrested after he was shouting and screaming abuse on the street. Detective Garda Quinn said Brian was drunk and disorderly. He was very aggressive and refused to cooperate when he arrived at Clonmel Garda station. 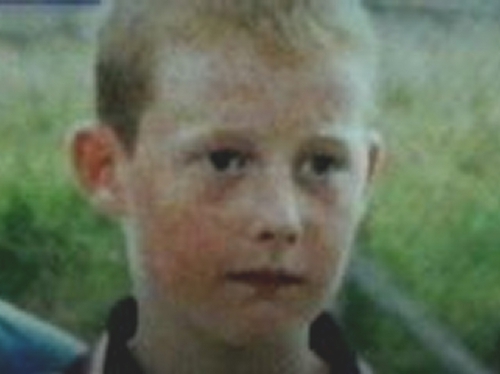 Detective Garda Quinlan said Brian's father Pat arrived at the Garda station at around 11 o'clock that night. He said Mr Rossiter said he could not bring Brian home because there would be trouble. He said Mr Rossiter rang his wife, Siobhan, and told her that Brian had been arrested and was drunk and causing trouble. Detective Garda Quinlan said Ms Rossiter said she was washing her hands of this, that Mr Rossiter was supposed to be looking after Brian but that he was doing nothing. He said Ms Rossiter said her husband could take responsibility for Brian and the phone call ended. Detective Garda Quinlan said he took a statement from Mr Rossiter consenting to his son's detention. He said he read that statement to Mr Rossiter and he signed it. Mr Rossiter disputes this. He said he asked Mr Rossiter twice if he would like to see his son but Mr Rossiter declined. He said Mr Rossiter looked at his watch. He said Mr Rossiter said he was going for a few pints and he was not going to miss that and Mr Rossiter left the station.